You might have the habit of wiping and dusting off your Mac screen and cleaning out keyboard and indeed, physical cleaning could make your Mac look sleek and shine as new. However, is your Mac computer working like new? I believe the answer is a big NO. Even if you spent more than $ 2000 on one of the best Mac computers, it is still inevitable that your Mac might get slow and sluggish, even stuck on some window. How to speed up Mac? If you are troubled by this problem, don't worry, we are here to help. Here in this post we summarized the most efficient 11 tips to help you speed up your Mac and make it work like new. Apple provides free OS updates and these updates could fix bugs and glitches that slowing down your Mac. There is no reason to stay at old version of Mac OS at all! Below are detailed steps of how to update to latest Mac OS. Step 1. Locate the version of Mac you require, check if your Mac is supported and if there is enough room for your Mac. Step 2. Backup your Mac. Step 4. 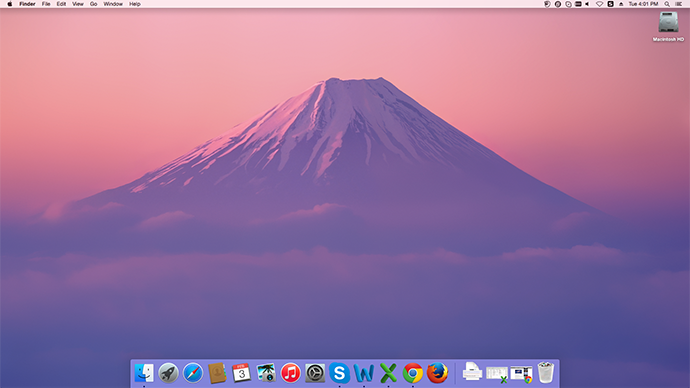 Search Mac OS, download it to your Mac. Follow the prompts, you can have the newest version of Mac OS. Method 2. Cleanup Your Browser like Safari, Chrome, Opera, etc. No matter what browser you are using on your Mac, Safari, Chrome or Opera, when you are browsing some webs, the more tabs you open on your browser, the more memory storage it takes up, and more slowly your computer works. 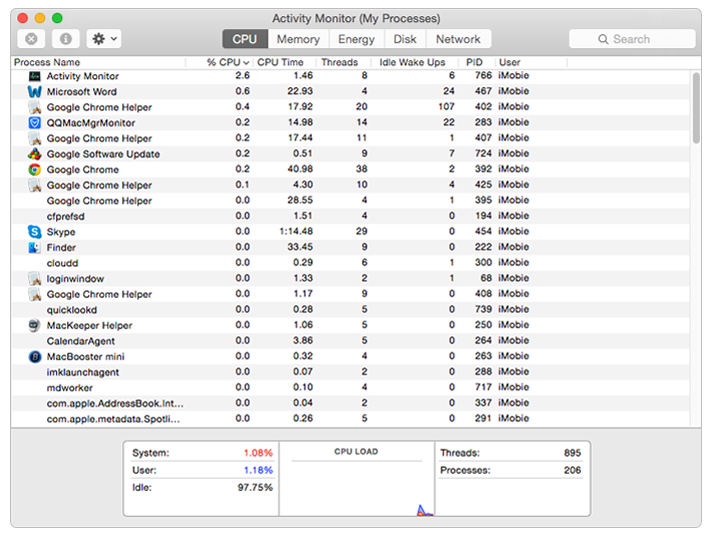 If don't believe it, you can launch Activity Monitor (Steps: Macintosh HD > Applications > Folder of Utilities > Activity Monitor) to check it. 1 Close unused tabs in your browser. - For Safari users: Click Safari on left hand of desktop > Clear History and Website Data > All History > Clear History. - For Chrome users: Click Chrome on left hand of desktop > Clear Browsing Data > the beginning of time > Select the items you want to clear > Clear browsing data. - For Firefox Users: Launch Firefox > Click History on upper left corner of your desktop > Select the history you want to remove > Click Setting > Select Delete button. - For Opera Users: Click Opera at the left hand of your desktop > Click Clear Private Data > Select the browsing data you want to delete > Click Clear Browsing Data. Note: When you clearing browsing history and cookies from some browser, you can choose to keep password, or you will input them again when you visit the webpages you logged in before. 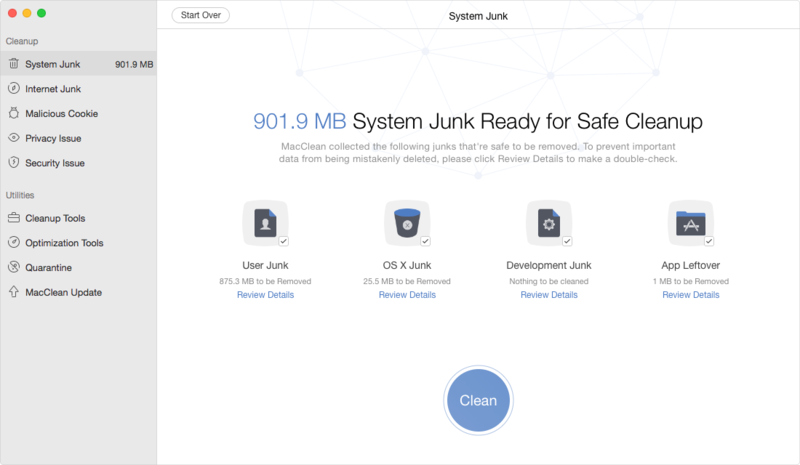 If you want to speed up your Mac completely, it is quite necessary to find out and remove the junk files from it. Don't think it is troublesome to open every app to clear its junks? Here we offer you an all-in-one Mac cleaning tool – MacClean that allows you to one click to remove System Junks, App junks, Users Junks, and Internet Junks from your Mac without Goggling how to figure out some tough problems, how to delete history and caches from Firefox browser, how to get rid of app leftovers from Mac, etc. Contrary to Windows computer, Mac has only one hard disk, and we put all the things in the same disk. We never worry we will run out of all the storage of C drive, and never thought they will slow down our Mac. However, if you just keep your files disordered on your desktop, and keep all apps on dock, the items on your desktop also will slow down your Mac. Because macOS treat each desktop item like a small window with its own performance boost, and your desktop plays a part in how many time it will take for you to boost the system (it is the first screen that it has to load up). - Remove unused Apps from Dock: Select the App > Right click this App > Select Options > Remove from Dock. Note: When removing some App from Dock, you should quit it firstly, or you can't find the option of "Remove from Dock". - Delete unless files, and put valuable files into folders. - Remove Apps from Computer. Apps takes up both CPU and storage. If you find that there are some apps you haven't used for a long time, you can refer to this guide to remove apps from Mac without leftover. You know that every file you delete and every App you uninstall are placed in Trash unless you right click and empty it. So if you ensure all your deleted files are useless, empty trash regularly and remove them from your Mac permanently. When looking at Activity Monitory, except browser tabs take much storage, you must have noticed that some Apps you don't launch are running in the background. So close those unused apps to speed up your Mac. 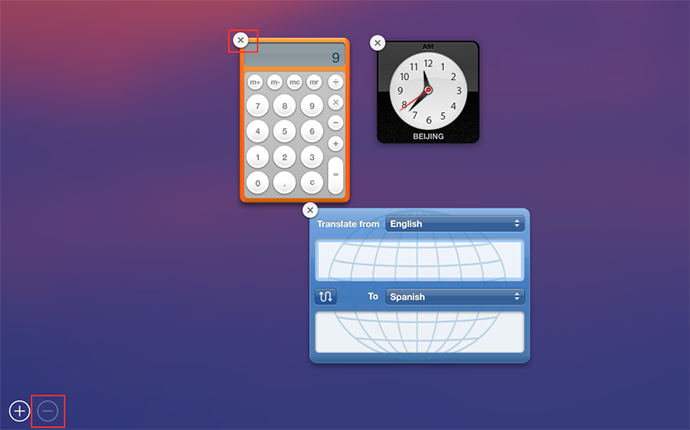 Like Apps and browser tabs, the widgets on your Dashboard also take up a little bit of memory. So go to Dashboard and remove the widgets you don't use by following the steps: Launchpad > Mission Control > Dashboard > Click "-" > Click the "x" of the widgets you don't use. Absolutely, you also can use the same way to add the widgets you delete by mistake. If you find it takes you one or two minutes to boot up your Mac, maybe you should check your login items on your Mac, and there has too many applications to open. 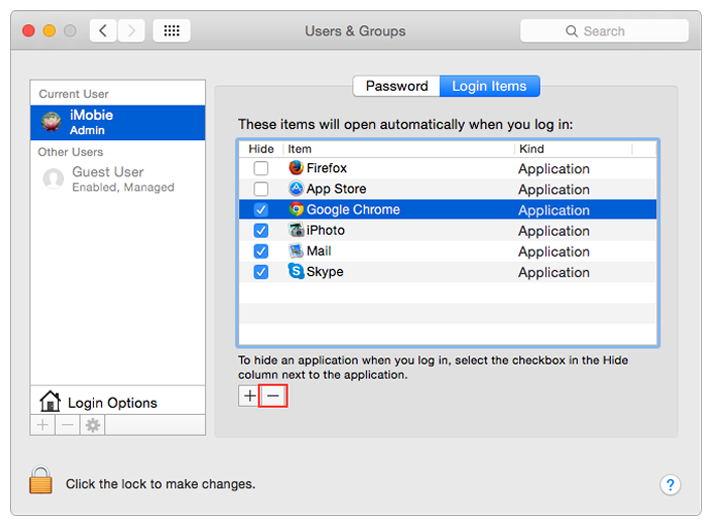 When you install some applications, they automatically are added in to Login Items, and they will launch automatically when you start your Mac. Without no doubt this will be make your Mac slowly. If you don't know what Apps are added in your Login Items, you can check with steps below: Settings > Users & Groups > Current User > Login Items > Select the items you want to remove > Click "-" button. If you have tried all the methods listed above, but your Mac still work slowly. At this moment, you can consider upgrading the RAM to speed up your Mac. As known to us, Mac computer is very expensive. 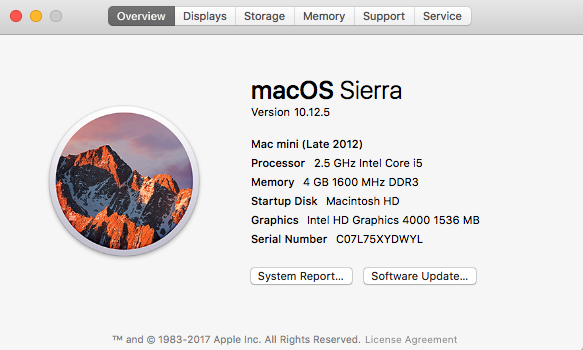 Compared with getting a new Mac, upgrading your RAM is the simplest way to make your Mac run faster. If you have only one piece of RAM attached in your Mac, consider getting another one. SSD stands for "Solid State Drive", and an SSD drive is just the same shape and size as a traditional drive. The biggest difference between them is that an SSD drive uses RAM chips instead of a spinning hard disk to store information, which makes it much faster. We suggest you to add an SSD drive to run just macOS and your applications, and keep your existing hard disk for your user files. This means your System files and Applications are on the new SSD drive, but your user data like iPhoto or iTunes stay on your old Hard Disk. This will speed up your boot time and application launching. For most of us, especially those who are working with a MacBook Pro or Air, we won't restart our Mac unless we meet some problem and can't solve it. Normally we just close the lid and let it sleep. 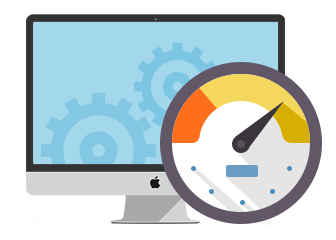 However, restarting your Mac will clear out cache and re-initializes hardware, and rebooting regularly can have performance benefits. Moreover, nowadays the Macs equipped with SSD drivers can boost as quickly as they awake from Sleep. Therefore, if your Mac works slowly, you can restart your Mac and see if it is faster.